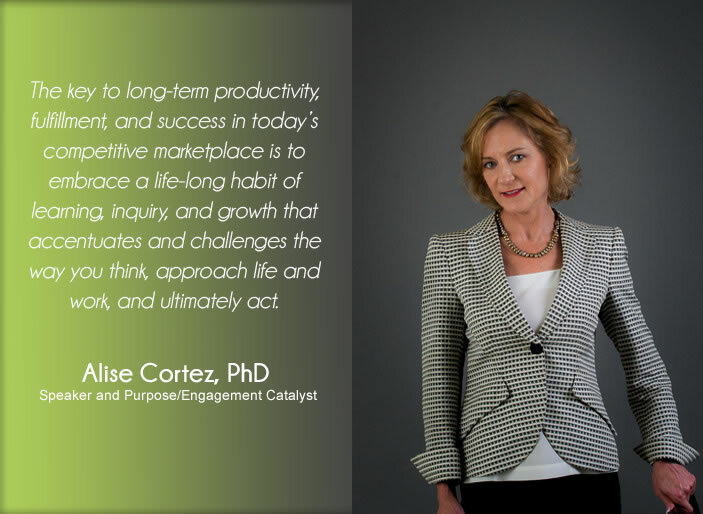 Alise Cortez and Associates exist to serve companies, leaders, and individuals across the globe to enlighten, enliven, and empower themselves and their workforce to more meaningfully and purposely connect with their work. Everyone wins when people live and work, on purpose. The Gallup Organization 2017 State of the Global Workforce report indicates that only 15% of the world’s employees are fully engaged in their work. While this figure varies considerably across countries, in no country are employees engaged more than 40%. What a waste of potential when you consider that businesses in the top quartile of Gallup’s database are 17% more productive and 21% more profitable than those at the bottom quartile. 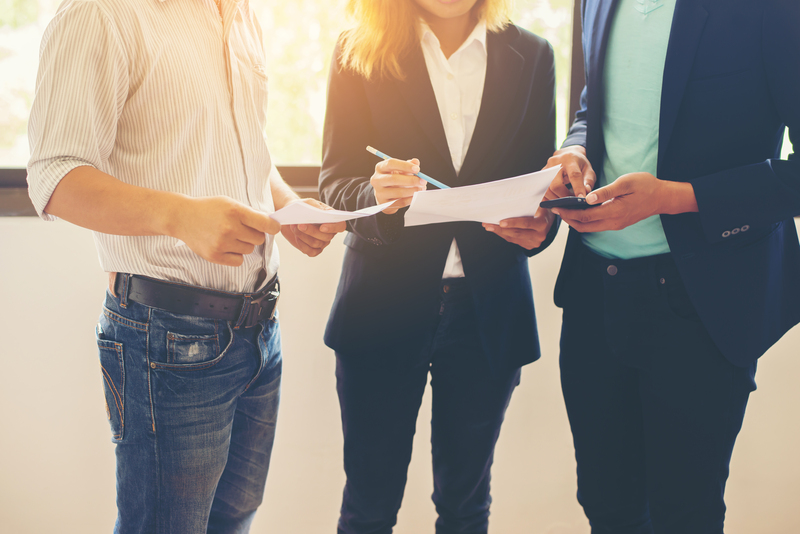 Consider the profound impact to your organization when Alise Cortez and Associates help shift to 60% or more of your workforce being engaged, instead. Organizations that cultivate an environment that fosters meaning and purpose within individual employees and facilitates connection with the organization’s mission register high levels of productivity and innovation. Most people will spend 40% of their lives at work. And if 85% of the world is dragging themselves through Monday through Friday (or whatever their work schedule), this is a travesty of the human spirit and terrible waste of a precious life. Alise Cortez and Associates exist to serve individuals and leaders across the globe to enlighten, enliven, and empower themselves and their workforce to more meaningfully and purposely connect with their work. Everyone wins when people live and work, on purpose. Because there’s nothing worse than walking through life hoping, praying, and waiting for Friday at 5 pm – or whenever the shift ends – the proverbial “walking dead.” Living with passion and savoring every precious moment we’ve been granted while leaning into our senses to fully take in and be touched by life – that’s the opportunity to embrace. And these moments absolutely can and do happen at work, too. Because work is at least a third of our lives. It’s a crime not to be positively contributed to by work or make it a positive expression of who we are. Leaders are in a unique position to profoundly shape and impact their employees’ lives. Because people are precious in their creation. They deserve to live to their fullest potential AND when they do, everybody wins! They probably need help or a catalyst to get there. We ALL need a hand up. Leaders are that hand up. Because most leaders and organizations need help catalyzing their workforce to a higher level of effective communication, shared commitment to a deeper level of engagement and performance, and greater level of leadership to pull the team toward the vision. Because work can be one of the GREATEST adventures of our lives! A playground, laboratory, and frontier to unleash and ever further develop our true, best, and most potent selves. To know, at our very core, that … we … matter. Significantly.